Ever wanted to meet a psychic or have a tarot reading? Curious about Ghost Hunting and Paranormal Invesitagions? This is your chance to experience it all ... first hand! This will be a day full of supernatural fun and excitment. The Wm E Haymond house will be hosting it's very FIRST Psychic and Metaphysical Fair. Psychics and Tarot readers in a 125 year old historic home!! 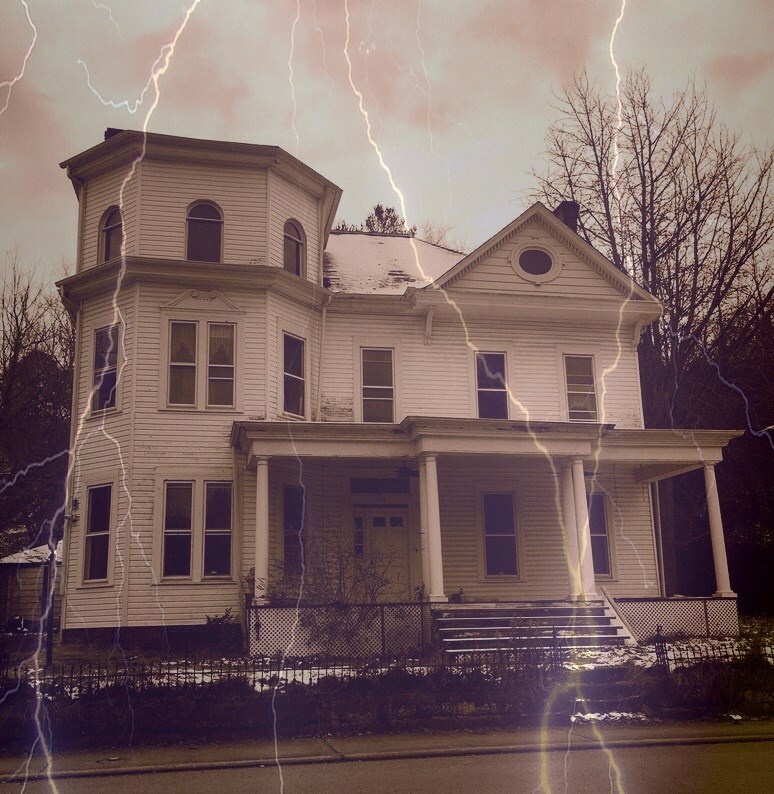 This haunted property, never publicly presented, has been long awaiting for your visit! 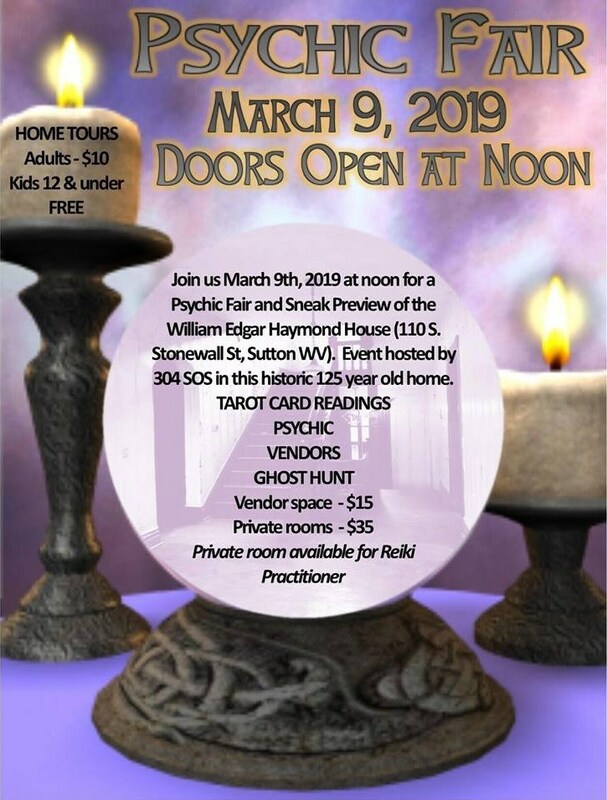 Also The West Virginia Seekers Of Spirits will be there offering hands on demostrations of equipment and talking about some of their investigations. In addition, they will be hosting a Ghost Hunt at the house this very night, after all the energy was elevated from within!! Come be a part of it!! Meet all our vendors, lightworkers, shops of metaphysical products! 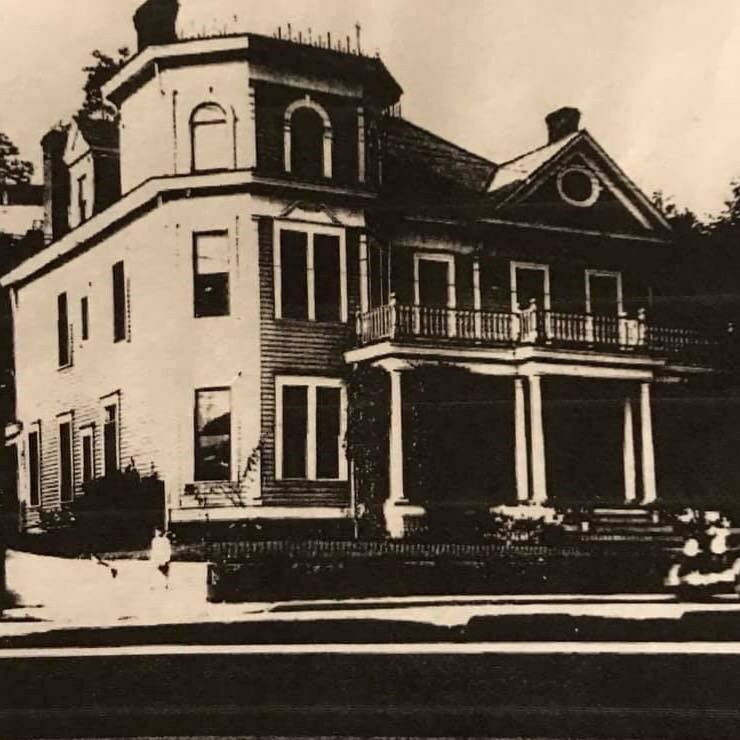 Join the professional Ghost Hunters, The West Virginia Seekers of Spirits investigate this historic and very spirited property. This has never been offered before. To be realized and certainly not dissappointed! Does not include Dinner or the Public Ghost Hunt! VIP Gold - OUR BEST PACKAGE!